Does your mouth hurt? 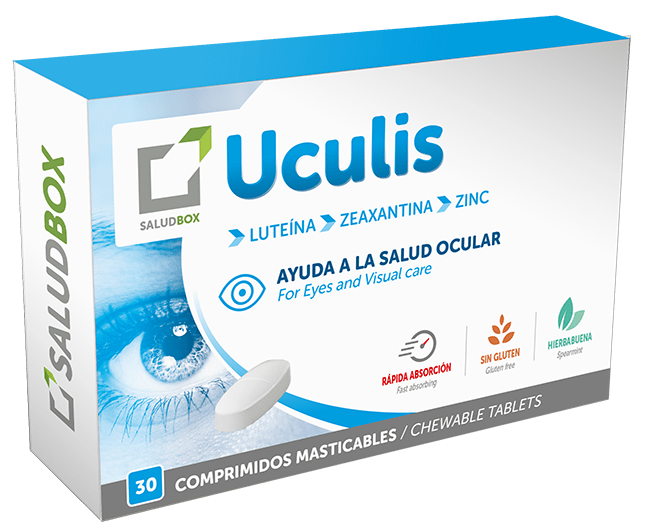 Often small wounds caused by stress, dental prostheses or by the follow-up of an oncological treatment appeared in the oral mucosa … Or simply because we just have had an accidental bite eating. Bocaft, our chewable tablet –also in healthy chewing gum version– can create a protective layer on these wounds so you can smile again. Happy Health! 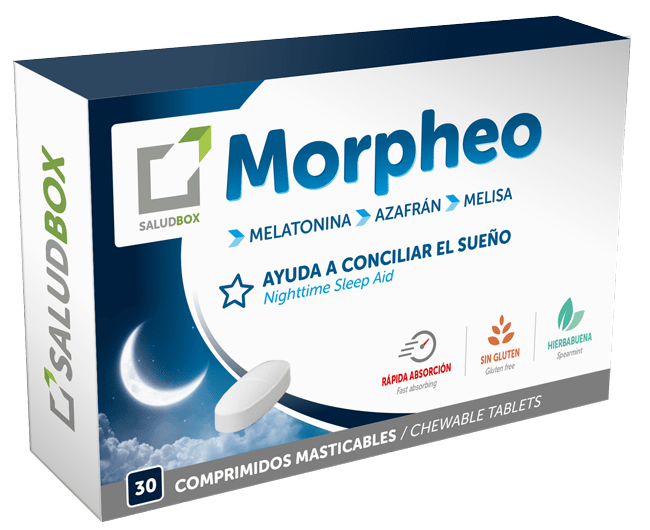 Chewable tablets with licorice flavor for all those people who have sore provoked by stress, dentures in cancer patients and other. Etiology. 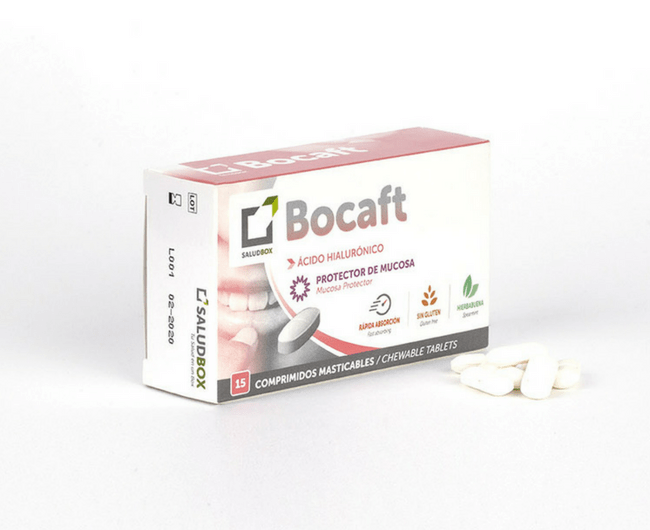 In addition of the healthy chewing gum, Bocaft is available in healthy chewing gum too. Alimentary complement of which base of Hyaluronic acid forming a protective layer that regenerates and relieves the surface damaged. It is recommended take to 3 from 4 chewing gum during the day between meals. It is not necessary take it with water It dissolves quickly in the mouth. It is recommended no to overtake the recommended dose. Hyaluronic acid: forms a protective layer that regenerates and relieves the surface damaged.